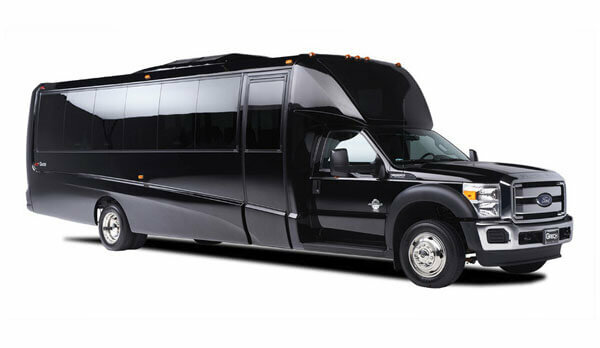 The Ford F-550 executive mini coach is configured with premium leather seating. Each row of seating is equipped with 110V/USB outlets. 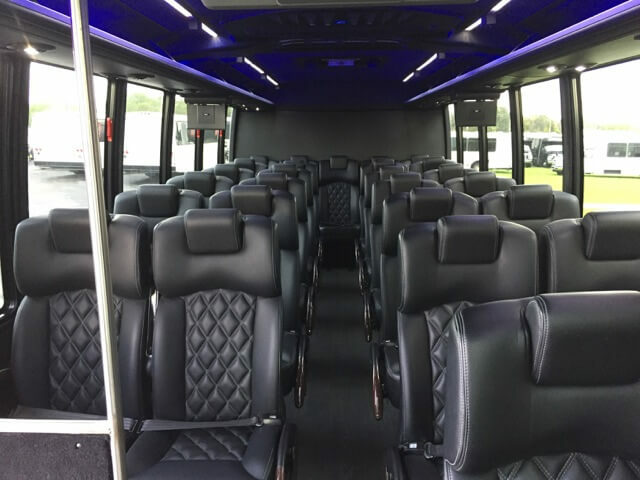 It's large sized rear luggage room compartment can hold all your extra luggage.This minibus seats 27 passengers with luggage or 31 passengers with no luggage. 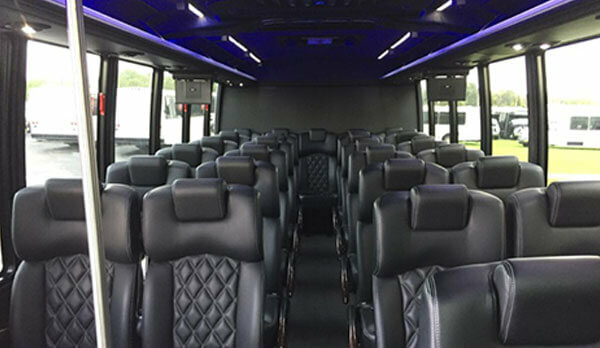 A panoramic front viewing window, frameless coach windows, premium audio and a 48" LCD TV screen, this vehicle is designed for the perfect luxurious ride.